It will save Sandra Bullock $34 a month. Now solar installer Sungevity is turning its sights on Hollywood stars. The company's plot? To promote a solar-lease initiative that is becoming the central thrust of its business. SolarCity pioneered the residential solar lease two years ago. Sungevity is finding that this option is more popular among cash-strapped homeowners than purchasing panels outright. "They need to have it financed," says president and co-founder Danny Kennedy. Sungevity kicked off its leasing program in March with $24 million in financing from U.S. Bancorp. Two-and-a-half months later, the initiative is taking off faster than expected. Since March, 210 systems have been leased -- comprising 80 percent of Sungevity's business during the period, says Kennedy. "We didn't think we'd be at this level yet," he says. The program is similar to ones touted by Solar City and SunRun. Sungevity, though, says it will one-up the other two competitors by offering more competitive terms. 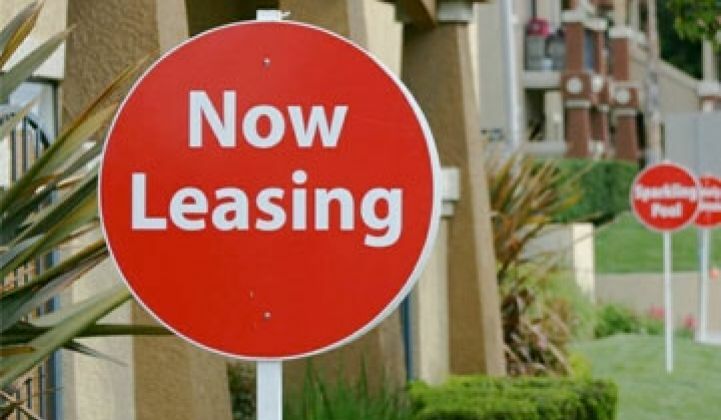 First, the term of the lease is only ten years, versus 15 to 18 years. After the ten-year period is up, consumers can extend their leases under the same terms or upgrade their solar systems. Second, Sungevity will guarantee that customers save money. "More than 60 percent of customers will be cash-flow positive or neutral from day one," he said. For the remaining 40 percent, Sungevity will provide cash rebates ranging up to $800 for a limited time. Sungevity will also give customers payments between the time that the customer signs the contract and the solar panels begin to generate energy. If an installation is delayed two months, for instance, and the solar panels would have saved $60 a month, Sungevity cuts the homeowner a check for $120. Several more systems will be added, if Kennedy gets his way. To promote its push into southern California, Sungevity calculated the lease payments and energy savings at a handful of celebrity homes. The Blind Side star Sandra Bullock would cut her monthly electricity bill 36 percent, or $131, in exchange for a lease payment of $97. Pop singer Madonna is a bigger winner: her monthly savings come to $260 for a lease payment of $164. Sungevity stresses the estimates are just that -- estimates -- and that actual quotes could vary. On a more serious note, the company added a new weapon to its southern California arsenal: a 20-year solar lease option that is available to the 3.8 million customers of the Los Angeles Department of Water and Power. Sungevity offers 10-year leases elsewhere in the state. But for LADWP customers to take full advantage of government solar rebates, they need the longer repayment periods, Kennedy says. With a hint of consolidation coming to the solar installation business, Kennedy says he is not being thrown off his game plan. SolarCity's proposed acquisition of Building Solutions makes sense, he says. But he doesn't think mergers between home-energy modelers and solar installers are necessary. As the business of solar installation matures, it naturally will link more closely to the broader home energy-efficiency market. But there are lots of opportunities to partner, Kennedy asserts. "There are many different ways to skin a cat."